NursingCAS: The UH College of Nursing (UHCON) participates in the Nursing College Application Service (NursingCAS), a centralized application service for multiple nursing degree programs. Applicants applying for Spring or Fall 2019 will apply through NursingCAS. 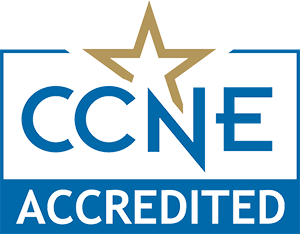 The College of Nursing will only accept and begin the international transcript evaluation process after an applicant has submitted the application through NursingCAS. Requests for international coursework evaluations must be submitted by August 15th for Second Degree BSN and November 30th for RN to BSN Spring admissions, or June 30th for RN to BSN and MSN Fall admissions. A course by course evaluation (original copy) performed by World Education Services (WES), Inc. submitted through NursingCAS. You can request electronic WES evaluations directly through the NursingCAS application. Click Order WES Evaluation after listing your foreign school(s) in the Colleges Attended section in NursingCAS. Once WES completes your evaluation, they will send it to NursingCAS electronically. NursingCAS also accepts paper WES evaluations sent via mail. NursingCAS is not responsible for any materials lost in the mail. Express or certified mail does not guarantee faster processing or receipt at NursingCAS. NOTE: It is good practice to submit all required materials 6-8 weeks before the deadlines. We cannot guarantee that requests for international credit received after the deadline will be processed. The official Test of English as a Foreign Language (TOEFL) scores or official International English Testing Service (IELTS) scores, when applicable. Minimum acceptable score for the TOEFL is 89 for the College of Nursing (this is different than the University requirement). This test is waived only for graduates of U.S. universities or universities in countries in which the native language is English. The University of Houston institution code for the TOEFL is 6870. Many factors contribute to the timely completion of the course evaluation process; the process can take a few weeks to several months. Applicants are encouraged to submit required items immediately after the NursingCAS application has been verified. UHCON strongly encourages applicants to enroll in approved prerequisite coursework until you have learned if the international coursework you have submitted has been approved. Enrolling in approved prerequisite courses is the only way to guarantee that you will fulfill your prerequisites as required. Students are encouraged to meet with a College of Nursing advisor. For Information session dates and times, please visit UHCON Information Sessions. Please note: Nursing advisors do not evaluate international transcripts.